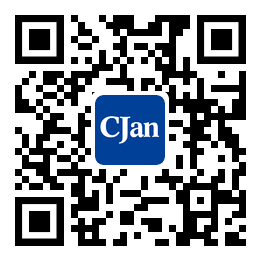 ﻿ Common Faults and Precautions of High Temperature Hydraulic Hose in Summer (I) - CJan Fluid Technology Co., Ltd. The use of rubber hydraulic hose is essential to hydraulic systems in excavators, loaders, and even other heavy industries. And in the process of use, the fault such as seepage, crack, fracture, loose is also common, so let's analyze it for you. (1) In the areas where the temperature is low, the hose pipe may be bent when the hose pipe appears to be cracked. And it should be noticed if the glue is cracked in the hose pipe and we should decide whether to replace the hose pipe at once. (2) When the surface of the hose pipe appears bubbling, it is because of the poor quality of the hose pipe or improper use. If the bubbling occurs in the middle part of the hose pipe, it is mostly for the problems of hose pipe quality. We should replace the hose pipes of reliable quality in time. And if the bubbling appears at the end of the hose pipe, it may be due to the improper joint installation. (3) The outer layer of the hose pipe is badly deteriorated and cracks appear on the surface, which is a sign of the long natural aging of the hose pipe. (4) The hose pipe is not break, but a large number of oil leakage, and the hose pipe was not broken at this time. But a large number of oil leakage, the reason for this is probably when the hose pipe passes through the high pressure, the lining is erosion and abrasion, until the leakage of steel wire into a large area results in a great deal of oil seepage. (1) The rubber layer in the hose is hard and cracked, when it is working in high temperature and high pressure, the hose pipe will overheat, and it can make the hose plasticizer overflow. When the hydraulic oil is overheated through the oil cylinder, valve and other components in the system, the hydraulic oil can be decomposed if there is a larger pressure drop, resulting in the oxidation of the inner tube of the hose and hardening. When we encounter this kind of situation, we should check whether the operating temperature of the hydraulic system is normal or not, and whether the valve and throttle hole, high pressure pump oil absorption was clear or not. And then replace the hose pipe after removing all factors that may lead to excessive oil temperature and hydraulic oil decomposition. (2) The inner layer of the hose pipe is badly spoiled and swell. The hose pipe is chemically modified because of the excessive use of hydraulic oil or excessive deterioration of the dirt in the hydraulic system, and the broken rubber sheet will be found at the return port. And we should check the system hydraulic hose inside the compatibility of rubber material and working temperature is in accordance with the standards.